Term 2: Tuesday 10-11 and Friday 11-12. Catherine is a human geographer whose work is unified by an interest in landscape, place, identty and socal relations in space. Most recently, Catherine’s research has followed two main strands looking at: i) social innovation and volunteering in place; and ii) landscape and climate change. Social Innovation and Volunteering in Place: Catherine's research asks how social innovation is linked to the particular configurations of people, energy, resources, agencies, and organisations in place. She also looks at the role of volunteers in social innovation. She is co-director of the Social Innovation Group (SIG), with Michael Leyshon. SIG research focuses on place-based, person-centred approaches to care, however broadly care is defined. The SIG team currently work on several EU-funded projects with Volunteer Cornwall, local housing associations, local GPs, the Eden Project, and other organisations in Cornwall and beyond. Landscape and climate change: this work focuses on and the particular challenges of managing culturally iconic and ecologically important landscapes through multi-agency working with different knowledge communities. Catherine works with Natural England, the National Trust and other organisations in the Linking the Lizard partnership. Catherine has extensive experience of working with research parterners and stakeholders including Natural England, the National Trust, the AONB partnership, Cornwall Council, Age UK, Volunteer Cornwall, NHS Kernow, and others. 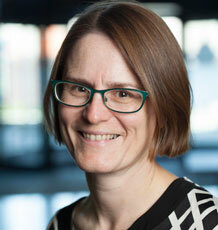 She has research collaborations with colleagues at the University of Hamburg and elsewhere in the EU. Outside the department, Catherine is a member of the Partnership Board of the Cornwall and Isles of Scilly Area of Outstanding Natural Beauty (2013-date) and a member of the Board of Trustees of Volunteer Cornwall (2012-date). Catherine is also an active member of the Linking the Lizard Countryside Partnership (www.the-lizard.org/). She was a contributor to WP 4 of the National Ecosystem Services Assessment Follow On. Catherine likes to run and she completed four half marathons and four marathons. In 2013, Catherine took up sea swimming and is trying to devise a means of zipping a hot water bottle into her wetsuit. When she is not running or swimming, Catherine enjoys baking cakes. Her particular specialisms are lemon drizzle cake and fruit cake but she has recently developed a recipe for salted caramel cupcakes that are life-changingly delicious. She also likes baking bread and trying new recipes. Catherine likes to read restaurant reviews, cook books, and novels. She has recently rediscovered her childhood love of Sci-Fi novels. In terms of superheros, Catherine is 100% Marvel, not DC. Catherine is especially vigilant about the misuse of apostrophes, having been converted to their proper use in her twenties. With the zeal of the converted, Catherine is also critical of the improper use of 'less' instead of 'fewer'. Catherine dislikes shopping, except for cooking ingredients. Catherine became interested in historical and cultural geography as an undergraduate and pursued this interest through an MA by research at the University of Toronto. In 1996 she was appointed as a Lecturer in Human Geography at Exeter. Catherine completed her PhD thesis on "Finding England Everywhere: Representations of the Cotswolds 1880-1950" during her first year as a lecturer and has since developed lines of inquiry from her PhD work. Her research is unified by an interest in landscape, place, and identity. She has researched landscape, national identity and regional identity; geography and film; geography and literature; geography and religion; cultural landscapes and climate change; and cultural ecosystem services; volunteering and resilient communities; place-based, person-centred approaches to care. Catherine also collaborates in research on coastal change, landscape management, cultural heritage, landscape, and identity with colleagues at the University of Hamburg. Catherine has worked with Dr David Harvey and Dr Adrian Bailey on a project entitled "Geographies of Religion: The role of Methodism in Cornish cultures, c.1830-1930" which examines the influence of Methodism in the formation of communal identities during the 19th and early 20th centuries in Cornwall. Drawing from existing literature on the geographies of religion, this project seeks to understand the dynamics of place-based identities and the role of Methodist religion (both formal and informal) in the construction and historical development of communities in Cornwall. This work was funded by the Leverhulme Trust and has been published widely (see publication list). Catherine has recently completed a project funded by the AHRC under their Landscape and Environment Programme on Understanding Landscape. This Networks and Workshops programmes starts from the view that, traditionally, geographers have been interested in landscape but have not been very successful in understanding how people create a sense of place and attachment to landscape through literature. When literary scholars, on the other hand, study literature and landscape, they tend to do this in abstract or purely theoretical terms. They also focus on published novelists and poets and have not traditionally paid attention to ordinary, real people who express their identities in part through writing about themselves and their everyday lives. A series of workshops and conferences explored these issues. Catherine has worked with Dr Michael Leyshon on geography and film, looking in particular at deviant ruralities. They have also produced work on British War film. See publications list for more details. The research is a small qualitative study evaluating the attitudes and perceptions held by users of the Adult Reading Well Books on Prescription scheme available through public libraries across England. The research will also examine the potential to involve community based volunteers in supporting people to engage and use books on the scheme and activate wider community support. This Impact Cultivation Award will fund a focused two-day workshop with project partners, to: 1. Explore the knowledge and capacity-building needs of UK-based environmental charities, such as the RSPB and the WWT, for enabling and promoting inclusive onsite sensory, physical, social and intellectual experiences in nature-based settings for people living with visual impairment (Day 1). 2. Examine how these charities can best realise and evidence the social and economic benefits of promoting these socially inclusive multisensory nature experiences (Day 2). SMARTLINE is a research and innovation project aimed at supporting the growth of eHealth and eWellbeing of the small and medium enterprise (SME) sector in Cornwall through the identification and support for products, processes and services that will improved the health and wellbeing of social housing tenants and build the cohesion of their communities. This is a partnership project involving the University of Exeter, Coastline Housing, Volunteer Cornwall and Cornwall Council. Köpsel V, Walsh C, Leyshon C (2017). Landscape narratives in practice: implications for climate change adaptation. Geographical Journal, 183(2), 175-186. © 2016 Royal Geographical Society (with the Institute of British Geographers) Research on the societal dynamics of climate change adaptation has advanced during recent years from merely focusing on technical and economic factors to taking into consideration people's individual perspectives and personal values. Within this context a growing literature on the relationship between people's place attachment and climate change adaptation has emerged. This literature seeks to explain how individuals’ relationships with the places in which they live influence current and potential future responses to climate change at the local scale. Nevertheless, critical limitations are evident in the conceptualisation of place and people–place relationships within this literature. In particular, differences between individual place constructions and their possible implications for landscape management are given insufficient attention. To address these shortcomings, we mobilise research on the societal construction of landscapes to uncover how actors in landscape management perceive ‘their’ places and changes to them. Drawing on qualitative interviews with key actors in landscape management in Cornwall (UK), we present four contrasting narratives about local landscapes and climate change and highlight their potential implications for climate change adaptation. In this paper we bring together work on landscape, temporality and lay knowledges to propose new ways of understanding climate change. A focus on the familiar landscapes of everyday life offers an opportunity to examine how climate change could be researched as a relational phenomenon, understood on a local level, with distinctive spatialities and temporalities. Climate change can be observed in relation to landscape but also felt, sensed, apprehended emotionally as part of the fabric of everyday life in which acceptance, denial, resignation and action co-exist as personal and social responses to the local manifestations of a global problem. Brace C, Johns-Putra AG (2010). Recovering Inspiration in the Spaces of Creative Writing. Transactions of the Institute of British Geographers, 35(2), 399-413. This paper emerges from a project conducted between academics in literary studies and geography that explored the creative process amongst writers who write for pleasure. It seeks to understand writing as creative process as well as simply representation, recovering process as a part of creative making. Building on a long tradition of theorising process and creativity in literary studies, which has cumulatively discredited the idea of inspiration, this paper asks whether a fresh engagement between geography, literary studies and other work on creative writing can provide new insights into the creative process. Recognising that questions of representation have been pursued with different trajectories in geography and literary studies, this paper attempts to identify our common intellectual concerns as well as asking whether a rapprochement between questions of representation and non-representational theory can provide the stimulus for an enlivened account that recovers the place of inspiration in creative writing. Brace C, Johns-Putra AG (2010). The Importance of Process. In Brace C, Johns-Putra A (Eds.) Process: Landscape and Text, Amsterdam: Rodopi, 29-44. Brace C, Johns-Putra AG (2010). Process: Landscape and Text. Amsterdam, Rodopi. Leyshon CS (In Press). Finding the coast: environmental governance and the characterisation of land and sea. Area Full text. Davies T, Cowley A, Bennie J, Leyshon C, Inger R, Carter H, Robinson B, Duffy JP, Casalegno S, Lambert G, et al (2019). Correction: Popular interest in vertebrates does not reflect extinction risk and is associated with bias in conservation investment. PLoS One, 14(2). Correction: Popular interest in vertebrates does not reflect extinction risk and is associated with bias in conservation investment. [This corrects the article DOI: 10.1371/journal.pone.0203694.]. Bell SL, Leyshon C, Phoenix C (2019). Negotiating nature’s weather worlds in the context of life with sight impairment. Transactions of the Institute of British Geographers Full text. Davies T, Cowley A, Bennie J, Leyshon C, Inger R, Carter H, Robinson B, Duffy J, Casalegno S, Lambert G, et al (2018). Popular interest in vertebrates does not reflect extinction risk and is associated with bias in conservation investment. PLoS One, 13(9). The interrelationship between public interest in endangered species and the attention they receive from the conservation community is the 'flywheel' driving much effort to abate global extinction rates. Yet big international conservation non-governmental organisations have typically focused on the plight of a handful of appealing endangered species, while the public remains largely unaware of the majority. We quantified the existence of bias in popular interest towards species, by analysing global internet search interest in 36,873 vertebrate taxa. Web search interest was higher for mammals and birds at greater risk of extinction, but this was not so for fish, reptiles and amphibians. Our analysis reveals a global bias in popular interest towards vertebrates that is undermining incentives to invest financial capital in thousands of species threatened with extinction. Raising the popular profile of these lesser known endangered and critically endangered species will generate clearer political and financial incentives for their protection. Bell SL, Leyshon C, Foley R, Kearns R (2018). The "healthy dose" of nature: a cautionary tale. Geography Compass Full text. The information, practices and views in this article are those of the author(s) and do not necessarily reflect the opinion of the Royal Geographical Society (with IBG). © 2018 Royal Geographical Society (with the Institute of British Geographers). The care of older people is being radically reformulated by placing the individual at the centre of care process through the introduction of individual care plans. This marks a significant transition for the care of older people away from acute responsive clinical care towards a greater emphasis on co-produced preventative health and social care and relations of care “with” older people. Geographies of volunteerism are yet to consider the effect of co-production as a dominant rhetoric in UK health and social care. In this paper we show that the Health and Social Care Act (2012) and the Care Act (2014) has the potential to fundamentally alter discourses of care by introducing new spatialities to older people's care. New spatialities of care will not only rely on the reciprocity and interdependence of care between individuals and organisations but also the mobilisation of a voluntary care-force to be attentive to individuals. Spatialising co-production reveals the institutional and professional boundaries that prevent the type of open partnership that sits at the heart of the rhetoric. Our ethnographic and qualitative methodology was developed to understand how our case study of Living Well (Cornwall, UK), as a philosophy of care, is realised in practice and to consider the main collaborators’ views of different methods of co-production involving volunteers. We discuss two principal spaces of co-production, highlighting the opportunities provided for, and barriers to, co-production expressed by volunteers and other partners by attending to the relations of care that are recognised through: (1) formal meetings and coffee mornings, which provide spaces for volunteers to contribute, and (2) multi-disciplinary team (MDT) meetings, in which volunteers are largely absent. Kaesehage K, Leyshon M, Ferns G, Leyshon C (2017). Seriously Personal: the Reasons that Motivate Entrepreneurs to Address Climate Change. Journal of Business Ethics Full text. Leyshon C (2014). Critical issues in social science climate change research. Contemporary Social Science, 9(4), 359-373. © 2014, © 2014 Academy of Social Sciences. This paper examines the challenges and opportunities for social scientists working on climate change research. Much work is required to expose and destabilise taken-for-granted assumptions about: (i) the nature of climate change, its complex ontology and knowledge-making practices; and (ii) how academic knowledge is made at the expense of other ways of knowing, doing and being in the world. I examine the relationship between the natural and social sciences, the epistemological question of what people are, and the multiple spaces, sites and practices across which and about which social science research on climate change is being produced. Leyshon C (2014). Cultural ecosystem services and the challenge for cultural geography. Geography Compass, 8(10), 710-725. © 2014 the Author(s) Geography Compass, 2014 John Wiley. &. Sons Ltd. Cultural ecosystem services are one of four services identified by the Millennium Ecosystem Assessment as critical to the support of human life on earth and therefore in need of proper valuation and protection. Cultural services seem to embody the objects of enquiry for cultural geographers interested in landscape, identity and place. However, potentially insurmountable epistemological challenges face the participation of cultural geographers in the following: (i) the identification and evaluation of CES; and (ii) the operationalisation of environmental governance. One challenge for cultural geographers is to make the relevance of their theoretical and conceptual insights felt in a field dominated by the natural sciences and scientific epistemologies. Meanwhile, the problems of defining and identifying cultural services in ways that make them compatible with provision, regulating and supporting services, even threaten the continued inclusion of cultural services in the ecosystem services approach. The concept of landscape seems to provide a shared intellectual terrain over which cultural geographers can work with others interested in cultural ecosystem services. Geoghegan H, Leyshon C (2012). Erratum to: on climate change and cultural geography: farming on the Lizard Peninsula, Cornwall, UK. Climatic Change, 1-1. In this paper, we look at how landscape and climate change are simultaneously apprehended through institutional strategies and then negotiated through local knowledge and social relations on the ground. We argue that by examining landscapes that are practised, embodied and lived, it is possible to gain an understanding of people's actions, beliefs and values in relation to climate and climate change. This attention to cultural landscapes also enables us to ask how a variety of publics make sense of climate change, and how they are invited to do so by organisations that take responsibility for the management and preservation of landscape, such as the National Trust, Europe's biggest conservation organisation. This paper considers how the Trust makes sense of climate change via the document Shifting Shores and how its strategies are operationalised on the Lizard Peninsula, Cornwall, UK. Leyshon M, Brace C (2007). Men and the desert: Contested masculinities in Ice Cold in Alex. GENDER, PLACE AND CULTURE, 14(2), 163-182. This paper explores the relationship between space, identity and film through the war film genre and in particular one film Ice Cold in Alex (1958). Although war films have suffered particular neglect by geographers, their appeal is enduring, helping to shape British national identity and popular constructions of masculinity. Through an analysis and critique of the film, this paper makes two interconnected points. First, it highlights the value of film to geographers as a creative medium in which spaces and identities are imagined, (re)created, contested and negotiated. Second, it brings recent work on masculinites to bear on a detailed examination of Ice Cold in Alex to illustrate how war films have produced and sustained a specific unconventional form of heroic masculine British national identity through the passage of an ‘off-road’ movie. Here we demonstrate that masculinities are forged not only in the maelstrom of power interrelationships between men and other men and between men and women, but also importantly in relation to the landscape, in this example the desert as other. This glimpse allows us to challenge hegemonic norms as well as the construction of the desert as an active agent in the co-construction of the main characters’ identities. Leyshon CS (2003). Envisioning England: the Visual in Countryside Writing in the 1930s and 1940s. Landscape Research, 28(4), 365-382. Brace C (2002). The West Country as a literary invention - putting fiction in its place. JOURNAL OF RURAL STUDIES, 18(4), 491-492. Author URL. Brace C (2001). Introducing human geographies. JOURNAL OF HISTORICAL GEOGRAPHY, 27(2), 309-310. Author URL. Leyshon CS (2001). Publishing and publishers: towards an historical geography of countryside writing, c. 1930 - 1950. Area, 33(3), 287-296. Brace C (2000). A pleasure ground for the noisy herds? Incompatible encounters with the Cotswolds and England, 1900-1950. Rural History, 11(1), 75-94. This paper draws on and forms part of the growing body of literature which examines critically the relationships between landscape and Englishness in the first half of the twentieth century. In particular this paper develops our understanding of the moral geographies of outdoor recreation and the popular discovery of rural England. It also shows how national identity itself was seen to be threatened by first, the alteration of the English landscape to accommodate new kinds of visitors, and second, by the apparent inability of those visitors to enjoy the English countryside in an appropriate way. These issues are explored through the variety of ways in which the Cotswolds were being discovered and encountered in the first half of the twentieth century. This was occurring at a time when rural England more generally was being 'discovered', explored, constructed and re-created both physically and in print through non fictional rural writing, guide books and topographical works. Discovering the Cotswolds and England was a deeply contested activity fraught with tensions and paradoxes which were themselves informed by ideas of class and culture. Brace C (2000). Landscape and englishness. ECUMENE, 7(4), 477-478. Author URL. Brace C (1999). Finding England everywhere: Regional identity and the construction of national identity, 1890-1940. Ecumene, 6(1), 90-109. This paper examines the relationship between regional and national identity in England in the first half of the twentieth century. It explores the ways in which England was imaginatively constructed through regional identities and their uniqueness. It further argues that this amounted to a powerful myth of regionalism in England which informed a discourse of national unity, particularly in the interwar years. Taking the example of the Cotswolds - a limestone hill region in central southern England - the paper shows how a unique regional identity was constructed through a corpus of local writing which also invoked the Cotswolds as an ideal version of England. The paper also examines more wide-ranging examples found in topographical writing from the first half of the twentieth century which reveal how England's regions were mobilized to represent something of the nation. Brace C (1999). Gardenesque imagery in the representation of regional and national identity: the Cotswold garden of stone. Journal of Rural Studies, 15(4), 365-376. Research which has highlighted the symbolic power of rural landscapes to picture English national identity has tended to homogenise those rural landscapes, eliding the role of regions in the construction of national identity. This paper argues that the construction of a unique regional identity for the Cotswolds was informed by and itself informed the construction of English national identity in the first half of the 20th century. This paper examines one aspect of this relationship; the use of gardenesque imagery to construct both the nation and the region, focusing particularly on the 'garden of stone' metaphor which recurs in non-fictional rural writing, guide books and poetry about the Cotswolds from around 1900, reaching a peak in the interwar years. This paper examines the religious and secular symbolism of the two components of the metaphor; the garden and the stone. The paper is predicated on the notion that gardens are repositories and generators of meaning and value. Using the language of slow growth, seasonal cycles and continuity along with the motifs of composition and creation, the garden of stone describes an organic community in a reciprocal relationship between people, soil and stone. The idea of organic communities is shown to resonate within representations of both the Cotswolds and English national identity and is also explored in some depth. Brace C (1999). Landscape and englishness. GEOGRAPHICAL JOURNAL, 165, 338-339. Author URL. Brace C (1999). Looking back: the Cotswolds and English national identity, c. 1890-1950. Journal of Historical Geography, 25(4), 502-516. This paper examines how history was appropriated to construct a unique regional identity for the Cotswolds and a national identity for England in the period c. 1890 to 1950. It explores how ideas of the past, tradition, history, longevity and (dis)continuity were woven into representations of the Cotswolds as incontiguous, set apart and remote in time from contemporary England. The analysis examines how the apparently whimsical devise of 'locating' the Cotswolds in specific pasts was mobilized to mount serious criticisms of the condition of England and Englishness. This was achieved through the use of the 'door ajar' motif which was a particularly powerful means of expressing the perceived disruption of historical continuity in both the Cotswolds and England and is therefore examined at length. These themes are explored through non-fictional rural writing, guides and other written representations. Brace C (1997). A dream of England: landscape, photography and the tourist's imagination - Taylor,J. ECUMENE, 4(3), 357-359. Author URL. Brace C (1997). Corruption, pollution, and the problems of public works provision: the Garrison Creek sewer scandal in late-nineteenth century Toronto. Historical Geography, 25(1-2), 113-123. Brace C, Roberts J (1996). Young research workers in historical geography. AREA, 28(2), 283-284. Author URL. Brace C (1995). Public works in the Canadian city; the provision of sewers in Toronto 1870-1913. Urban History Review, 23(2), 33-44. Walker T, Leyshon C (2017). Resilience to what and for whom in landscape management. In (Ed) Governing for Resilience in Vulnerable Places, 38-56. Brace C, Leyshon M (2007). Deviant Sexualities and Dark Ruralities in the War Zone’. In Fish R (Ed) Cinematic Countrysides, Manchester University Press. Brace C (2006). Landscapes and senses of place. In Kain R (Ed) England's Landscape: the South West, Harper Collins with English Hertiage. Brace C (2003). Landscapes of Identity. In Robertson I, Richards P (Eds.) Studying Cultural Landscapes, Arnold. Brace C (2003). Rural Mappings. In Cloke P (Ed) Country Visions, Pearson. I am the programme director for Flexible Combined Honours programmes in the Centre for Geography, Environment and Society. Nik Heerens (2010-2013) - The Role of Higher Education in Regional Economic Regeneration. Nik is funded by a partnership with the Combined Universities in Cornwall. Annie Lovejoy (PhD) (Falmouth University, 2006-2011) - Place and Identity in Process Based Art. This is a joint supervision between Professor Brace and Dr Daro Montag at Falmouth University, funded by the AHRC. Elidh Moir (PhD) (University of Exeter, 2008-2011) - Forging New Governance through Localism. Eilidh is funded by Cornwall County Council. Hilary Phillips (Falmouth University, 2008-2013 part time) - Reconstruction deconstructed: a study of post war housing in Plymouth. This is a joint supervision between Professor Brace and Dr Fiona Hackney at Falmouth University. Hilary is funded via the AHRC. Sarah Thomson (PhD) (2009-2012) - The Outdoor Landscapes of Cornwall�s Secondary Schools: Exploring the Politics of Design. Sarah is funded by an AHRC Collaborative Doctoral Award with Cornwall Council. Tea Tverin (PhD) (2009-2012) - Giving Children the Chance to be Children : Memory, Identity and Holidays in the Countryside. Tea is funded by the ESRC cluster for Sport, Leisure and Tourism. Timothy Walker (2011-2016) - Climate Change and Vulnerable Communities. Tim is funded by an ESRC Doctoral Training Centre award.